Drying basil is quick, easy and economical. You can dry fresh basil that you grow yourself or basil purchased from a store. Basil is an annual herb plant, grown mostly for its rich, wonderful flavor. It's used in many cuisines, from Italian to Thai. Basil comes in many varieties and flavors. The most common type is sweet basil (Ocimum basilicum), used to make pesto and flavor Italian sauces. 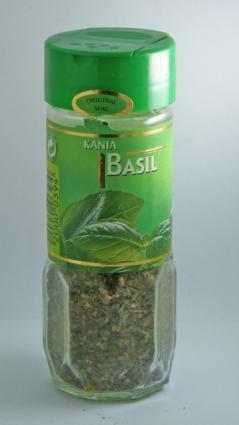 Thai basil has a spicy, licorice-like flavor and is great in Thai and other Asian cuisines. Other flavors of basil to try include cinnamon, lemon and lime-scented varieties that make interesting oil and vinegar infusions for salads and other uses. Basil has a long history in the annals of herbal medicine, but most of the ancient texts are more folklore than fact. Dioscorides, an ancient Greek physician, and Nicholas Culpeper, the great 17th century herbalist, touted basil as a remedy for scorpion stings. Fortunately, scorpion stings aren't that common. The easiest way to use basil as a healing herb is to simply add fresh chopped sweet basil to salads, green smoothies, and soups. You can also purchase basil essential oil. Use as directed. Nothing beats fresh basil leaves picked right off the plant for flavor. Drying basil in the summer or fall ensures a good supply all year long. Basil purchased from the supermarket can also be dried. This is especially useful if you happen to find bunches of basil on sale. You can easily purchase extra and preserve it for future use. Air dying basil is one of the most common techniques. You've probably seen drying basil hung in bunches in magazine photos. Harvest basil before flowers have set. Flowers appear at the tips in a cone shape. According to the National Gardening Association, basil starts flowing when it has six leaves to a stalk. Once basil begins flowering the leaves lose some of their flavor. To capture the herb at its peak, harvest before it begins flowering. Snip stalks of basil and rinse under cool water to remove dirt and insects. Hold the stalks upside down (the top pointing down). Take a rubber band, string or sewing thread and band together the base of the stalks so that you have a bouquet of basil. Hang the basil in an area where it can dry. This may be your kitchen, a pantry, or a basement storage area. The optimal temperature is 60 degrees Fahrenheit. An area that has a gentle breeze keeps air circulating and prevents mold from accumulating. Some gardeners pick a spot in the kitchen near an open window or an air conditioning or heating vent so that the gentle movement of air can circulate around the basil. Basil is completely dry when the leaves turn brown and crunchy. It usually takes two to three weeks, depending on the drying conditions, for basil to thoroughly dry. When you think the basil is finished, remove it from where you've hung it and hold it over a paper towel or dish. Pick off all the leaves and crunch them up with your fingertips. Gently tap into a spice bottle or jar. Be sure to label the jar so you know what it contains. Sun drying is another easy method of drying basil. It is faster than air drying, and uses only solar energy. To sun dry basil you'll need fresh basil, a pan of water or a squirt of water to rinse it, paper towels, and an old screen or bed sheet. It's best to pick a day to sun dry basil that is sunny, over 70 degrees Fahrenheit, and calm. Any wind or a strong breeze may blow away the basil. Rinse and pat dry with the paper towel. Place an old window screen or clean bed sheet on an area outside that will receive full sun. A picnic table or similar table placed outside is ideal. Use rocks to weight down the edges. Pluck the basil leaves and spread them out so that the rays of the sun will hit each leaf. During the day, move the leaves around so that they get more and more sun. Depending on the weather conditions, you may need several days of sun. Ovens and dehydrators can also be used for drying basil. The technique is similar to solar or sun drying basil. Pick, wash and clean the basil. Pluck the leaves off and place in a roasting pan. One way to oven dry basil and save energy is to simply wait until finishing cooking something at 350 degrees. Take the food out of the oven, shut off the oven, and place the roasting pan into the oven as it cools down. The remaining heat will help the basil dry out. Check it every half hour and use a spatula or spoon to stir it around. It has a tendency to stick to the pan, so check it frequently. Do not bake it. Just use the natural heat remaining in the oven to dry it out. If you plan to preserve many herbs, investing in a dehydrator may be a smart move. Dehydrators are small appliances that use gently heated air circulated around screen trays to dry out herbs, fruits, vegetables and meats. Follow the manufacturer's directions when using a dehydrator to dry herbs.